Made it to Tuesday. Mum is super bizzy with day hunting this week. So much to do and she says dealing with stupid people who seem to forget how to work or think smart. The Pack - They won on Monday night, ARodg threw 5 TD passes. Plus we have won over some Da Bear fans to be fans of The Pack. Welcome to being a cheesehead Laila and Minchie. The Broncos - They won too. Mr Peyton beat up on the Lion guys on Sunday night. Hang in there mum, only one more day then back to normal routine. Plus it will be TockTober, you like TockTober! Hope everyone had a good weekend. Me and mum were home. Mum did all her chores and had lots of time to cuddle with me. It had been cloudy all day but cleared up last night in time for us to see the eclipse, it was cool. The Pack - plays on Monday Night Feetball, so nothing to report. The Broncos - Mr Peyton is playing on Sunday night. Winning at halftime, but mum won't stay up to see the end. She will stay up tomorrow to watch The Pack. It has been ages since I did a Sunday Selfie. Too many weekends of mum off doing other things to help me to do this. So today I sat on her and said, today we gotta do a selfie. I woke up and opened my eyes. Actually you get a double selfie, me and mum. Mum with her freshly curled hair! Happy Sunday Selfie Day. 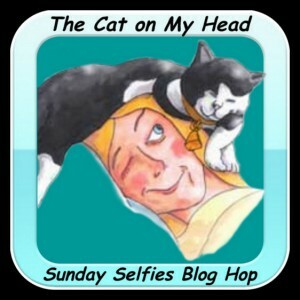 Join in the fun with The Cat on My Head group! Mum was off to an early start, out the door and now back. She looks all purrty as she went and got her hair curled. She even had nice pictures to look at while she was fussed on. Seems the owner of the shop is an artiste! Mum told him she like them, the pink and blue series. He said it was magenta and turquoise! OKAY! These artistes are sensitive. So mum is home now with me, says she will get to her inside chores today. Tomorrow outside. Plus she says she will need a nap this afternoon! Goody, we can nap together. Welcome to Garden Thursday with Virginger, Glimmer and Trooper. Like Ducky said the other day, the weather is super duper! We all wish it would stay like this for, well, furrever! Not gonna happen, but we can wish. Mum got rid of the weed pile last Caturday. Since it rained ti was a bit icky and slick to move, but she got it all carted off. So it was all messy under the pile and still wet, but what mum didn't get a pic of was of all the worms that were hiding out under the pile! As she moved off the weeds, the took off to get back into the grass. Mum says she was happy they went back to the grass to live, they help out the soil. Since it was all wet the tarps got all dirty, so mum hung it up on the line and used the hose to wash it off to get it clean. Then she let them hang on the line to dry off until she put them away in the afternoon. Mum learned a trick on Face Book from Alfie and Milo's mum, Miss Jan. Seems if you put copper coins in your bird bath, they don't get as icky. While there is a little bit of ick in the top pic. The icky stuff doesn't stick to the bath, it can just be easily rinsed out, filled with fresh water and them dump the coins back in. Mum says it is a good use for the pennies! Our marvelous weather continues, so nice to have mum come home and open all the windows. She likes it too, nice weather for outside work and grate sleeping weather. Mum went out with Miss Lynn on Caturday evening and brought home a little box. For a change I got some of it, FISH! Trout Towne will be happy about that. Waiting very nicely for mum to share, notice that I am close but not too close. At last a little bit for me, it had cooled off so I didn't have to worry about biting into a hot stuff. That piece was good, how about a few more? Yep, I got a few more. I wish mum went out more often for fish. Tonight I had a bit of her chick-hen! I wonder what will be for dinner tomorrow? Yeah, you all better respect us, that way you can be all aesthetic! Hmmm, what does that word mean? the clean lines, bare surfaces, and sense of space that bespeak the machine-age aesthetic; the Cubist aesthetic. 6. Archaic. the study of the nature of sensation. 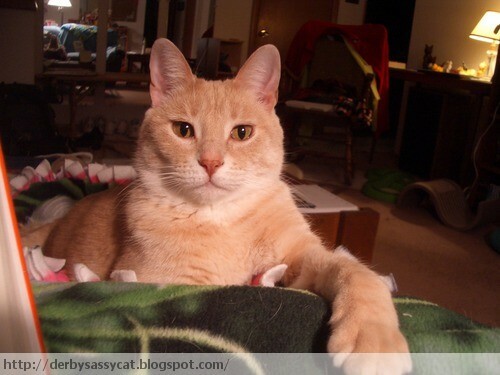 OK, so respecting us kitties means you appreciate beauty! That is OK by me! Sitting in mum's read it chair. Well sometimes she just sits and doesn't read there, but lots of time she does read. So she did a bit of both this weekend. She worked outside and inside, got all the chores done. The sat down to rest or read and I sat on her! The Broncos - Played last Thursday and pulled out a win in the last few minutes. Lots of scoring in short periods of time. Mr Peyton needed the defense to help him out again. 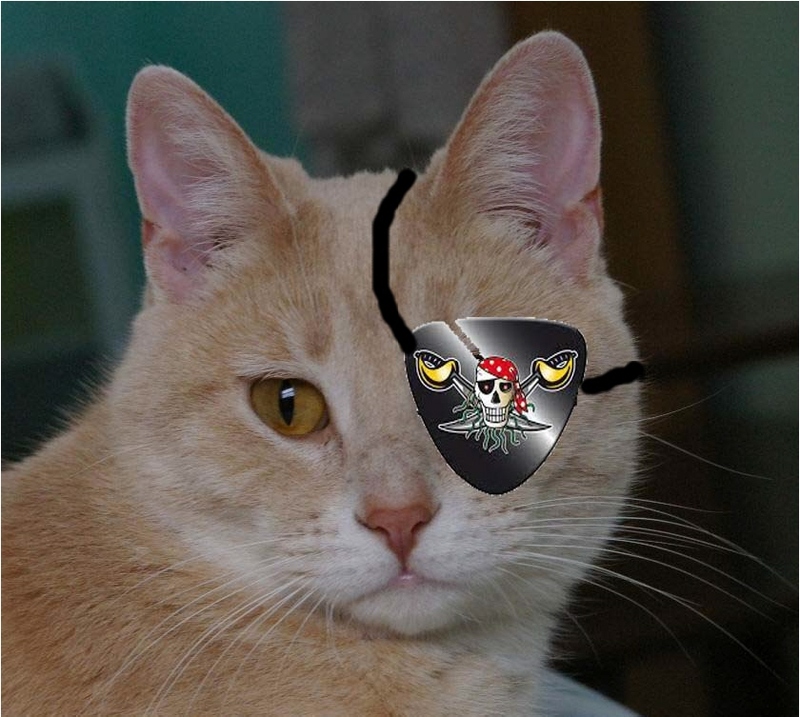 Aye ye land lubbers, 'tis talk like a pirate day! 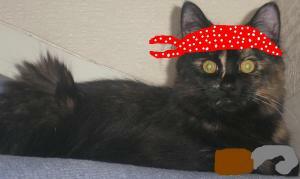 As the new captain, I be taken the Good Ship Sassycat out for a nice sail. I have my first mate Dora along side to give me a paw when needed. She makes a mighty fine pirate lass, she does! 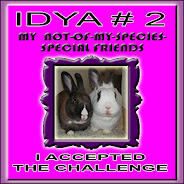 Now iffin' you thinks ye can just be along for the ride, think again, ye must help out. 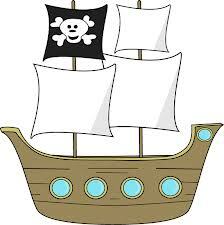 Unfurl those sails, open the grog and be ready for a good time. 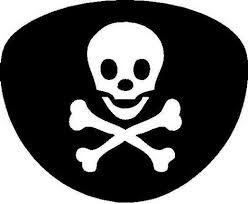 We will toast the memory of Pirate Derby, and all who dare to speak against him, shall be walkin' the plank! 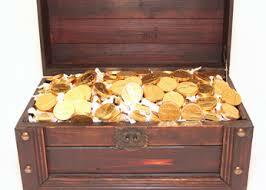 We be looking for treasures, we is hopin' we be filling this empty chest with some dubloons! 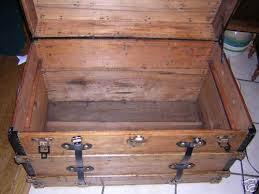 Aye' that be much better, a full chest o' treasure. It has gotten super nice around her. Hots are gone, little or no humids, so mum is getting outside more and getting stuff done. A few weeks ago we showed you the icky place of weeds and grasses. Well mum got her rear in gear and worked on this patch. She pulled and pulled and pulled until she got to the back. Still has some cleanup to go, but says she has most of it out. The ground was soft since we had rain, made it easier to get them weeds and such out. Here is the pile all dumped on the patio. Mum says the sun helps it wilt down and on Caturday she will haul it off to the compost place. In the mean time, we have a place to play! Queens of the weed pile! A few weeks ago week Flynn and Miss Megan wanted to know why I call Mum, Mum. Well, when I first got here I called her The Lady. Then after I was here a while, I started calling her Mum, cuz Derby called her Mum. Why did Derby call her Mum? She wasn't a man, so not a human, but a hu-mum! 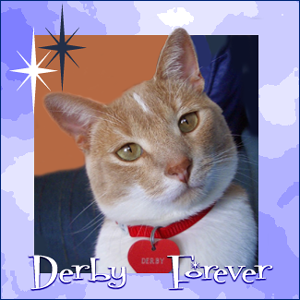 You have to go back to Derby's first ever blog post here, to read about it. No mum is not English, British, Aussie or Kiwi, she just prefers the Mum to Mom. Kinder, gentle name. Also Miss Megan said not to worry about the overgrown garden and weeds as we would soon have snow! YIKES LADY! Snow should not be here for at least two months, if not longer. Sheesh, don't wish that white stuff on us any early than we have to. For mum, it should snow lightly, over night only, only on the grass, not the roads, for the days up to Christmouse so there is a white Christmouse. Then it can warm up and melt and be good driving. BUT, cold enough at the ski place so kids and people who like to break legs and try to do that. Mum has not figured out my hidey spot from Sunday, but I have being nice to her and showing up at the door when she comes home from day hunting. Got to keep her guessing! Hahahahaha, very good. Yep, mum is responsible for everything. Including me, although I have my independent moments. Like yesterday. I drove mum crazy for a while. We had a nice early snuggle, then mum got up, starting reading the paper. Then got dressed, tossed in a load of laundry and went to get foods. She yelled good bye, but didn't come and say it to my face. So when she got home, I just stayed in my hidey spot! She kept walking around the house calling for me, worked on the next laundry load, cleaned out my boxes and another trip or two around the house looking for me. No success. So she had another place to get some shopping done, a short trip. When she came back I still wasn't around. hehehe, this is so good. Then the first load of laundry was done drying, so mum took it upstairs to put away. She was just about done folding her undies when I jumped up on the bed. She was so happy! So I got lots of cuddles, kisses and stinky goodness too! I refuse to say where I was. I did lots of napping in the window, open window season! Plus I sat on mum a lot during the feetsball game. The Pack - It wasn't a pretty game, lots of penalties, but The Pack beat Da Bears! Mum didn't yell at the moving picture box, just lots of sighing, and a little bit of cheering. Mum was happy that Mr. Clay caught that pass from the other team. Phew. The Broncos - Mr Peyton won too, but like The Pack, needed his defense to bail him out at the last minute to keep the other guys from scoring. 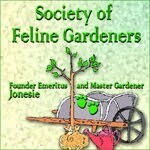 Woohoo, Caturday is here! It is bright and sunny, cool but nice. Mum will be going outside shortly to do stuff. She says the firsted thing that is getting done is a walk down to see the new fire station by us. Today is their open house. Then maybe some yard work outside with the girls. I have been sitting on mum this AM. She has been catching up on reading her magazines. So the read it pile is much smaller. Have a good weekend all. Packer feetsball tomorrow! The hots are gone and we are all happy. That means open windows and smiles inside and out! Mum did a little bit of work done outside in the heat. First she went and bought some bags of mulch to put down. Then got some plants that were on special prices and clearance, something bright to give us some color outside since most of the rest of the flowers are about done. Then she got out the special cleaning spray to clear the icky stuff off the oriole feeder. The orinch fevvers have left for this summer. So time to clean up the feeder and put it away. That is all for now. Love Virginger, Glimmer and Trooper. Back in 2009, before I came to live with mum and Derby, there was some silly person who said that there should be a day with NO CATS on the innerwebs. Silly person. 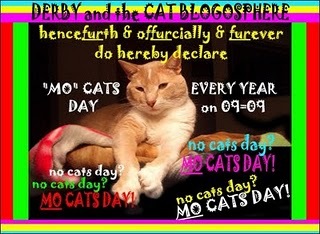 Derby said it should be Mo Cats Day, for MORE Cats. And that's they way it is! So here are more pictures of both me and Derby. Enjoy!